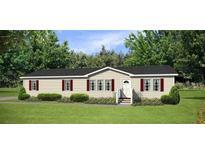 Find Newton, NC New Homes for sale. View Photos, Maps and MLS Data Now! 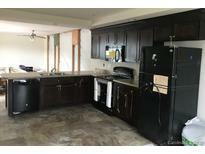 Includes custom cabinets, granite counters, bonus room,stone fireplace and other custom features. MLS#3499698. Lawing Real Estate. Southlakes - The master bedroom showcases a private bath with garden tub and walk-in closet. 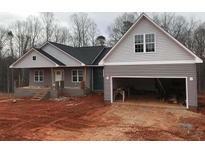 OTHER HOMESITES AND PLANS AVAILABLE. MLS#3489946. Berkshire Hathaway HomeServices Carolinas Realty. The master bedroom showcases a private bath with garden tub and walk-in closet. OTHER HOMESITES AND PLANS AVAILABLE. MLS#3486213. Berkshire Hathaway HomeServices Carolinas Realty. Located close to Maiden, Newton, Conover, Hickory and less than an hour drive to Charlotte. MLS#3481226. Exit Realty Vistas. Wooded Country lot in the City of Newton close to major roads in small subdivision. MLS#3482286. Berkshire Hathaway HomeServices Carolinas Realty. Glencroft - Call today for your private viewing! MLS#3479968. Keller Williams Mooresville. 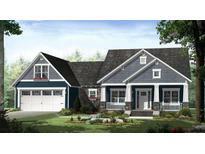 Nottingham Estates - Low Inventory means its a great time to build your Dream Home. MLS#3473619. Black Tie Realty, LLC. Storm windows and extra molding details located throughout the home indicate the time and quality put in building this home! MLS#3470451. Faith Parker Properties, LLC. Since home is pre-construction, some plans and colors may be tailored to your preferences. MLS#3452383. N C Land and Lots. Southlakes - Great value with a wide variety of innovative features.. Bring your own plan and let our builder give you a quote to build on this lot.OTHER LOTS AVAILABLE.Financing Available.Make this your home today! MLS#3451576. Berkshire Hathaway HomeServices Carolinas Realty. Approx 3500 sqft when completed, 3/3.5 with home office upstairs. Very generous allowances. MLS#3449945. Realty Executives of Hickory. Wooded Country lot in the City of Newton close to major roads in small subdivision. MLS#3416412. Berkshire Hathaway HomeServices Carolinas Realty. No negotiation necessary. Lowest price guaranteed. MLS#3403657. Wade Jurney Homes. No negotiation necessary. Lowest price guaranteed. MLS#3403680. Wade Jurney Homes. No negotiation necessary. Lowest price guaranteed. MLS#3403693. Wade Jurney Homes. No negotiation necessary. Lowest price guaranteed. MLS#3403712. Wade Jurney Homes. No negotiation necessary. Lowest price guaranteed. MLS#3403667. Wade Jurney Homes. No negotiation necessary. Lowest price guaranteed. MLS#3403708. Wade Jurney Homes. Please note that the photos are of a similar home and may not be an exact representation of the home being built as products and specifications may be changed. MLS#3403681. Wade Jurney Homes. No negotiation necessary. Lowest price guaranteed. MLS#3403665. Wade Jurney Homes. No negotiation necessary. Lowest price guaranteed. MLS#3403640. Wade Jurney Homes. No negotiation necessary. Lowest price guaranteed. MLS#3403710. Wade Jurney Homes. No negotiation necessary. Lowest price guaranteed. MLS#3403697. Wade Jurney Homes. No negotiation necessary. Lowest price guaranteed. MLS#3403674. Wade Jurney Homes. These statistics are updated daily from the Carolina Multiple Listing Services, Inc. For further analysis or to obtain statistics not shown below please call Highgarden Real Estate at 704-705-8838 and speak with one of our real estate consultants.